Aspen is our unique tent only campground that offers our guests a quiet (no generators allowed) and natural camping environment. 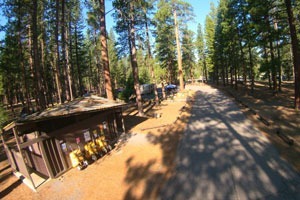 From here, you are within easy walking distance of the Marina and Gallatin Beach. 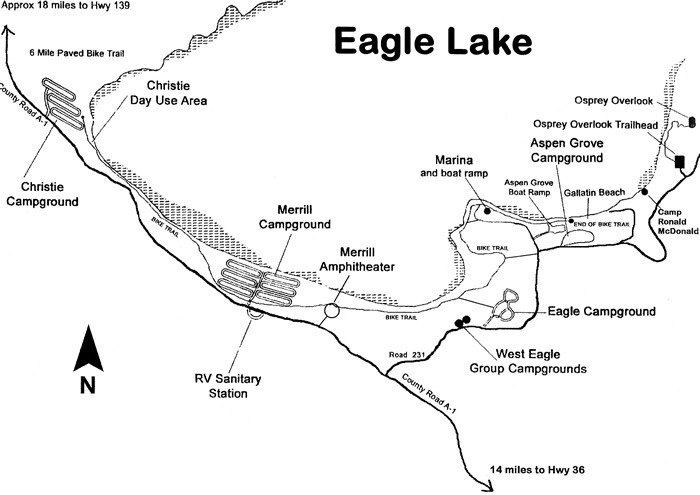 Though a smaller campground in total area, the 28 sites are spaced in a way to provide seclusion in some areas and almost adjoining for those that have a want for multiple sites. Situated on the shore of Eagle Lake, Aspen provides beautiful scenery and a diverse landscape – from pines to aspen trees and many sites are dappled with beautiful rock outcroppings. There is a central parking area (no RV’s allowed) and wheelbarrows are provided to help you pack your gear a short way to the site you have selected. For the 2019 season Aspen will be open from May 15 – September 29. The reservation season is from May 15 – September 2. All sites are open for walk-ins from Sept 3 through Sept 29. Eighteen (18) sites (11 – 28) are reservable through the National Recreation Reservation System. The remaining ten (10) designated walk-in sites (1 – 10), and any unreserved reservation sites will be available for walk-ins, with a first-come, first-served priority. You may contact us at anytime to verify occupancy levels. Call the host’s cell phone (530)310-1245, the Eagle Lake Marina (530)825-3454, or email us with this website’s contact email. Our hosts do not take reservations but are available to speak with during the open season at the phone numbers listed with their campgrounds. We honor Golden Age and Golden Access (GA) cardholder discounts. 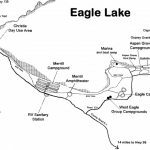 For more information on obtaining a GA card contact the US Forest Service, Eagle Lake Ranger District at (530) 257-4188.